The Nading Law Firm handles a full range of Family Law matters including but not limited to adoption, dissolution of marriage, modifications, spousal support, child support, property division, premarital agreements, separation, paternity, child custody, and child visitation. Iowa is a no-fault divorce state, which simply means that a spouse may request a divorce based on a breakdown in the relationship without any reasonable likelihood that it can be preserved. Therefore, the spouses do not have to blame each other for the divorce, and spouses do not have to defend themselves from allegations such as infidelity. 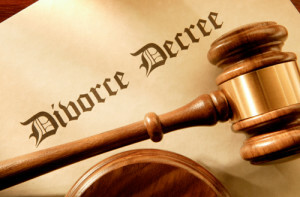 In Polk County, the term of art for getting a divorce is a “dissolution of marriage.” To start a dissolution, one spouse must file a Petition and a filing fee of $185.00 at the Polk County Courthouse. The non-filing spouse is then served with the dissolution Petition. The non-filing spouse has twenty days to answer the Petition before running the risk of having default proceedings started against him or her. A Pre-trial Conference is held a few months after the Petition is filed. At the Pre-trial Conference, both parties must file an Affidavit of Financial Status, and if the parties have minor children, a Child Support Guidelines Worksheet, and a certificate of completion for a Children in the Middle class must be filed as well. Some Iowa counties, including Polk County, require the parties to attend mandatory mediation, which allows the parties to work through any disputed issues they may be able to resolve without Court involvement. Before a dissolution can become final, the parties must wait 90 days from the date the Petition was filed. In some instances, the Court may waive the 90 day waiting period. If you are considering getting a divorce or if you were served with dissolution papers, we encourage you to consult with an Attorney to discuss your situation. Consulting with an Attorney early in the process may help avoid problems and preserve your resources. When choosing an Attorney to represent you with a Family Law matter, it is important that you are able to have a good rapport with the Attorney. You need to feel comfortable disclosing personal information to your Attorney without feeling ashamed or embarrassed. We at the Nading Law Firm will listen to you, assist you in every step of the process, and offer you help and guidance through a difficult time in your life.